The Dodge Durango is an SUV that manages to go beyond what it means to be an SUV. Not only does this vehicle offer utility, space, and technology, but you'll also find an unprecedented amount of power that can only be found in a Dodge vehicle. Dodge has always been known for creating machines that never skimp on the engine, and the 2019 Durango is just as powerful as previous models. A few features that are new to this 2019 model include an integrated trailer brake that is offered with the Trailer Tow package, second-row captain's chairs that come with the Citadel, and cloth seating that is available with the GT trim. 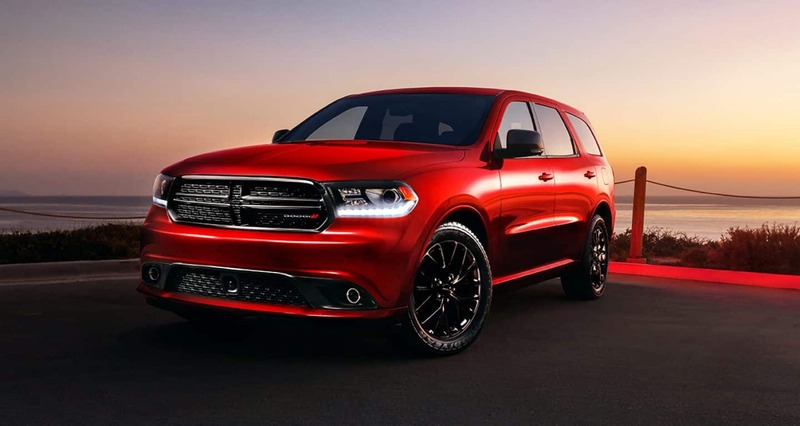 To learn more about the 2019 Dodge Durango, and the features that you can expect to find, continue reading down below! What safety features come with the 2019 Durango? Safety might not be your first priority with the beast-like Durango, but Dodge has made sure to include the latest in safety technology. Safety features offered with the 2019 Durango include roadside assistance, Uconnect Access with 911 call, rear cross path detection, blind-spot monitoring, adaptive cruise control with stop, forward collision warning with crash mitigation, trailer-sway control, front-row active head restraints, front-seat-mounted side-thorax airbags and full-length three-row side-curtain airbags. These are just a few of the over 60 available safety and security features. What model options come with the 2019 Durango? Five model options are available with the 2019 Durango. The base model is the ever-reliable SXT, which comes with standard features like integrated voice command, Bluetooth, driver-oriented electronic T-shifter, a perforated leather-wrapped sport steering wheel, Keyless Enter 'n Go with push-button start, Android Auto and Apple CarPlay, a 7-inch touchscreen, Uconnect 4, and a 7-inch full-color driver infotainment digital cluster display. You can add leather seats if you want a more premium feel. Another available model, called the Citadel, adds features like rain-sensing windshield wipers, a premium nine-speaker audio system with subwoofer, Apple CarPlay and Android Auto, navigation, an 8.4-inch touchscreen, Uconnect 4C NAV, HID headlamps with automatic high-beam headlamps, second-row captain's chairs, and 20-inch polished aluminum wheels. If you want to bump up your audio experience, you can add the 19-speaker Harman Kardon audio system. The highest available model is called the SRT. This model gets you ventilated and heated second-row captain's chairs, SRT flat-bottom performance steering wheel with paddle shifters, a hand-wrapped dashboard with live silver accent stitch, Performance Laguna Leather, Brembo high-performance six-piston and four-piston calipers, suspension damper valves, an Active Damping system, and vented rotors. What engines are offered with the Durango? Dodge knows how to produce powerful vehicles, and the 2019 Durango is no exception. The base engine is a 3.6-liter Pentastar V6, which creates 260 lb-ft of torque and 295 horsepower. This engine works with an eight-speed automatic transmission. You'll also be able to tow 6,200 pounds, which is best-in-class. This engine works with the SXT, GT, and Citadel trim levels. The next engine is a 5.7-liter HEMI V8, which can create 390 lb-ft of torque and 360 horsepower. You'll also be getting the reliable eight-speed automatic transmission, and you'll be towing up to 7,400 pounds. The final engine, which comes with the SRT, is a 392-cubic-inch HEMI V8, that outputs 470 lb-ft of torque and 475 horsepower. The towing capability of this engine is 8,700 pounds. 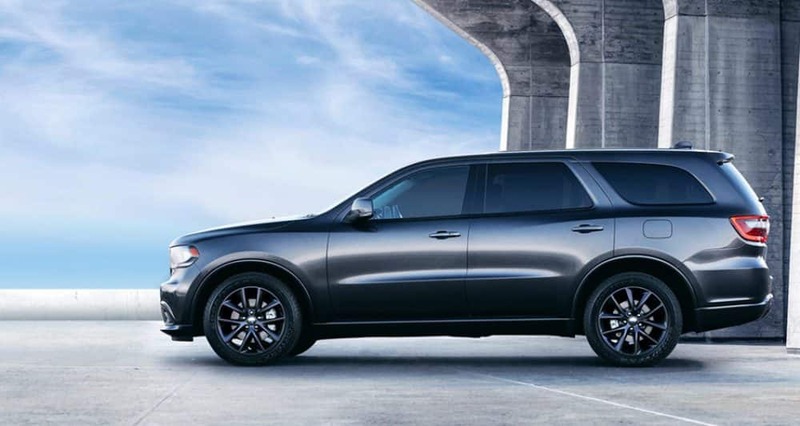 Finding an SUV that offers more than just space and technology can be a difficult task, but the 2019 Dodge Durango gives you just as much fun as it does capabilities. 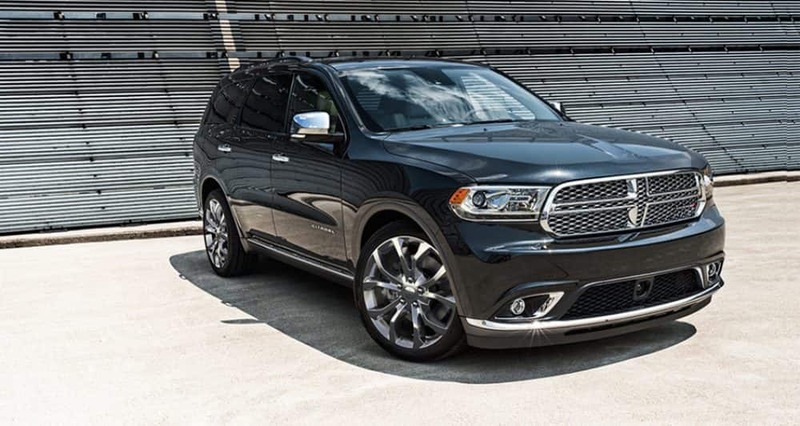 To learn more about our 2019 Dodge Durango inventory, give us a call today!